Steven Kasher Gallery is proud to present Marilyn & Me, Lawrence Schiller’s first solo exhibition in the United States. The exhibition will feature over fifty of Schiller’s iconic images of Marilyn Monroe—many of which have been newly discovered in his archives—and will coincide with the publication of his eleventh book, Marilyn & Me, published simultaneously, in two editions, by TASCHEN and Nan Talese’s imprint with Doubleday. Shown for the first time will be his original proof sheets with Marilyn’s rejection markings and scrawled notes. This exhibition and the publication of his two books on Marilyn will mark the fiftieth anniversary of her death. The exhibition will also include vintage prints from throughout Schiller’s illustrious career as photojournalist. Schiller (who is also known for his filmmaking and writing) will be in attendance at the opening to discuss his work and sign copies of this books. The exhibition will be sponsored Dom Perignon and Zenith watches, a division of LVMH. Lawrence Schiller began his career as a photojournalist forLife, The Saturday Evening Post and Paris Match, among others. He photographed some of the most iconic figures of the 1960s, from Lee Harvey Oswald to Robert F. Kennedy, from Muhammad Ali to Barbra Streisand to Bette Davis, to Clint Eastwood to Paul Newman and Robert Redford. He has written for the New Yorker and five of his books have become New York Timesbestsellers. Schiller’s collaborations include the Pulitzer Prize- winning book with Norman Mailer, The Executioner’s Song. He has also directed seven motion pictures and miniseries for television; The Executioner’s Song and Peter the Great won five Emmys and a feature-length documentary he directed won an Oscar. He is also the founder of the Norman Mailer Center and Writer’s Colony in Provincetown, Massachusetts. 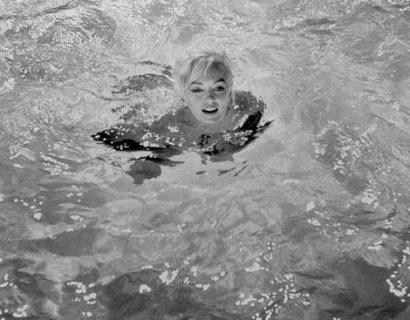 Lawrence Schiller: Marilyn & Me will be on view from May 31 through June 30, 2012. Gallery hours are Tuesday through Saturday, 11am to 6pm. For more information or press requests please contact Christiona Owen at 212 966 3978 orchristiona@stevenkasher.com.